Love to cook? For any budding chef, the right tools and utensils are incredibly important for whipping up something in the kitchen. 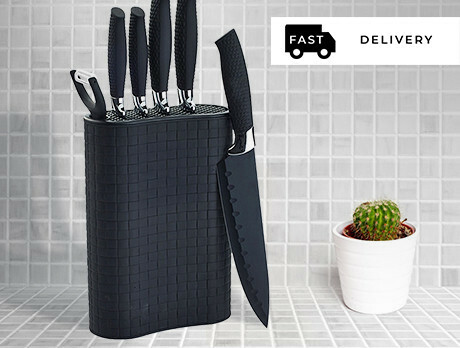 Create culinary delights with these 7 piece knife blocks, giving you different types for different uses. Whether cutting bread, slicing vegetables or carving meat, you'll be cooking up a storm faster than you can say 'chop chop'.